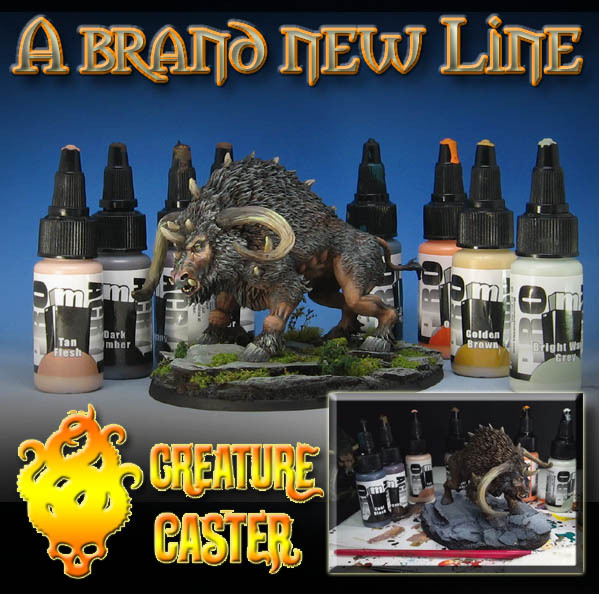 A Brand new Line: Creature Caster Paints!! 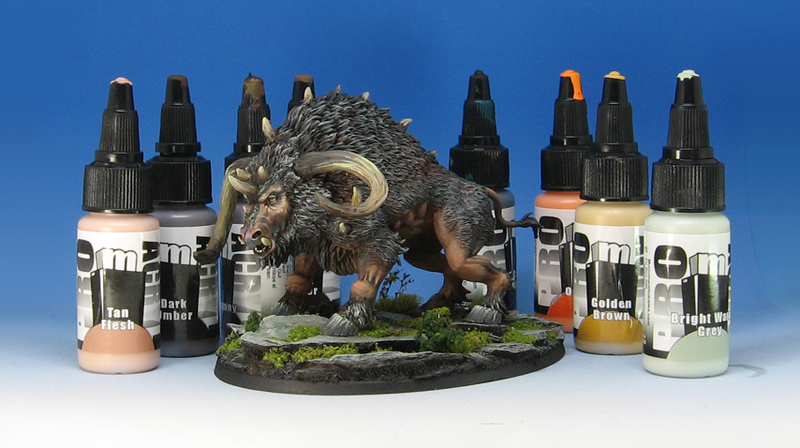 Just a few days ago, I was able to try out the brand new paint line from Slow Fuse Gaming and Creature Caster! It has been a very long time since I tried out a new set of paints, so this was going to be interesting. 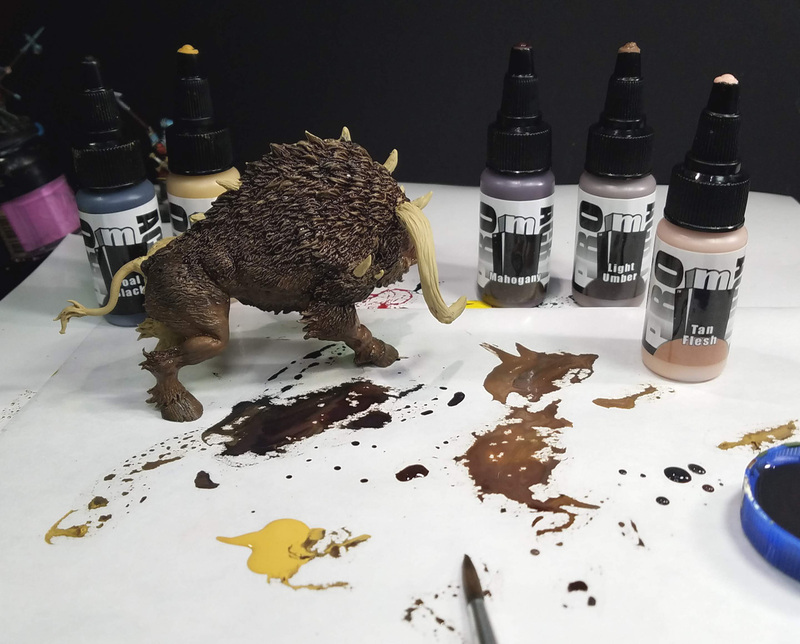 I grabbed a Mierce Miniatures monster, because I had recently painted one with my usual Reaper and Secret Weapon paints. This way, I could see how well I could achieve a similar color scheme, and if I could execute the process in a similar manner. I had the same yellowish/gray Stynlrez primer on the surface, and I set out to start doing my usual Shaded Basecoat/glazing steps. 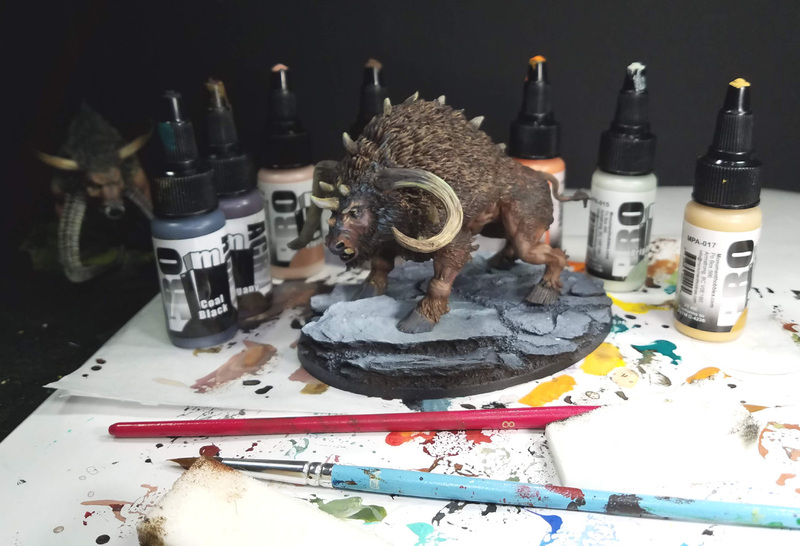 As these have very heavily sculpted fur, I wanted to see if the paints could get down into those nooks and crannies... that does not always happen with other paints, unless I am using oils! These bottles are also a bit different. I have always hated the standard dropper bottles, as they perpetually clog, or the nozzle stays inside the cap and I end up with a giant spill of paint on my palette. These work a bit more like elmer's glue containers. You twist the top nozzle and squeeze the container. They are a bit on the stiff side, so keep that in mind. It does help prevent you from putting out too much on the palette though. You can see the results were quite nice. Great coverage, and everything dried very matte. I was able to do a lot of glazing, but also work in more opaque layers. At the moment, there are 36 colors, including 5 metallics. More are on the way as well! As I mentioned before, this project has been in the works for many months, and every detail has been gone over many times. I don't want to think about how many container supply websites that were visited. New paints are not exactly a priority item on my list of things that I need, so these needed to make an impression on me from the start. I filmed a 1 hour live testing session for the patrons on my Patreon Page, so that they could see these in use for the very first time. I was even taking the seals off the containers on camera, so that everyone knew I had not touched them before. 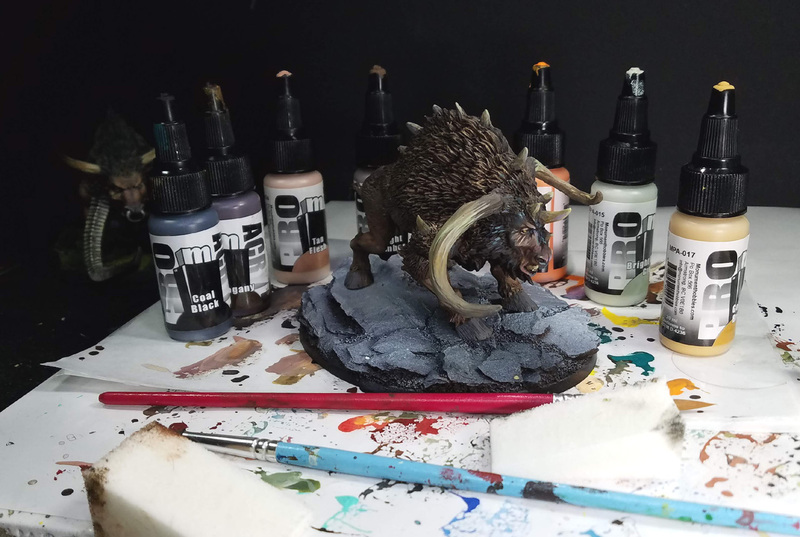 More things are being painted, including some Creature Caster figures as I put these paints through very intense testing. 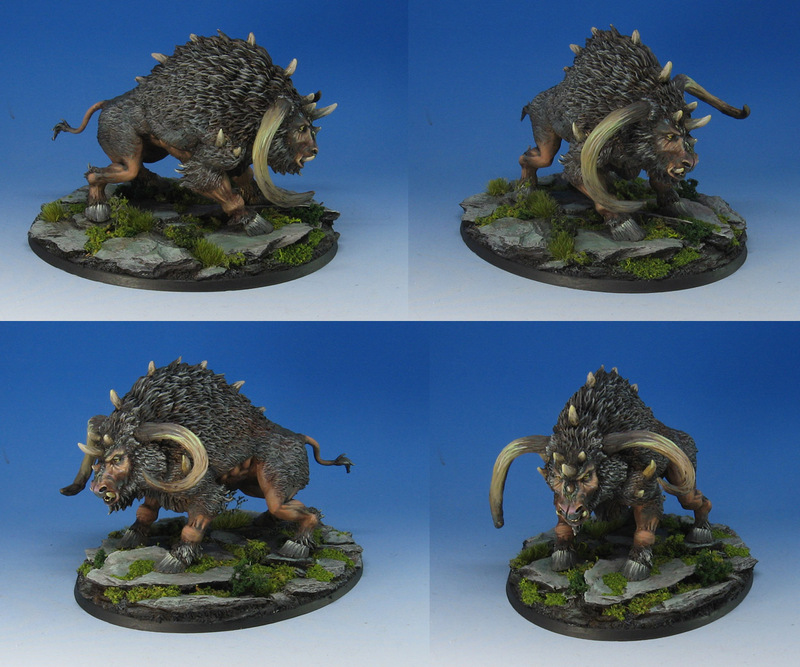 They must be able to do all the things which my other paints can do very well right away... and so far it looks great!